Ever wanted to supercharge your beauty routine, delivering powerful results for not only your skin and hair, but your energy and health as well? That’s where beauty supplements come in, and specifically the unique range of supplements on offer from Beauty Boosters. After just a short while in the industry, this Australian brand of daily supplements have grown to capture the attention of beauty addicts, including bloggers and even professionals. The team behind Beauty Boosters first developed the range after making the correlation between inner health and outer appearance. The healthier your diet and general lifestyle was, the more likely you were to experience glowing skin and fewer breakouts. As a response, the Beauty Boosters team set out to design a range of supplements that could easily be incorporated into any woman’s daily routine, providing them with the necessary nutrients to radiate health from the inside out. The ever-popular Beauty Boosters range is made up of only three products, each of which is suited to a different concern. 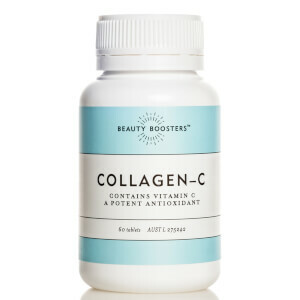 For those with dry or mature skin in need of a boost of collagen, the Collagen-C Supplements are an ideal choice. Expertly formulated with antioxidant Vitamin C, adding these to your routine is the key to unlocking better elasticity and protecting the complexion against damaging free radicals. Take 1-2 of these tablets daily to experience results that’ll have everyone around you wondering what’s in the water! 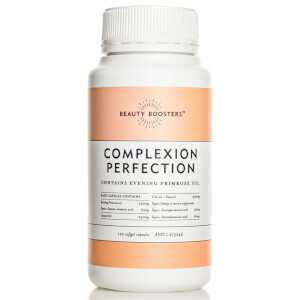 If breakouts, acne or dry, itchy spots are amongst your skin concerns, the Complexion Perfection Supplements will slot perfectly into your daily routine. A range of natural oils, including fish oil and evening primrose oil, help to regulate the body’s oil production as a good source of Omega 3 Fatty Acids. As the body can’t produce these itself, supplementing them through tablets, in addition to consuming them in your diet, will help to balance everything out. The result is clearer, more nourished skin with fewer unwanted imperfections. Simply add 2-3 of these into your daily routine to begin noticing the difference. Suffering from dull, lacklustre skin? Put down the highlighter (we know you want to!) and say bye bye to faking that glow. 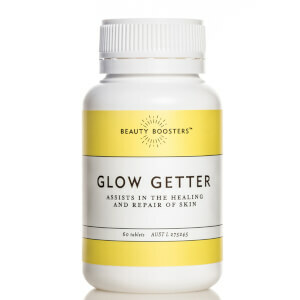 The Beauty Boosters Glow Getter Supplements are here to make your radiant dreams a reality. Formulated with a wide range of nutrients, including those that are integral to connective tissue repair, the Glow Getter Supplements also boast vitamins, antioxidants and superstar Biotin amongst their ingredients list. Pop 1 of these babies daily to reap the rewards--you should notice a difference in no time! Whatever your skin concern, one of these three effective beauty supplement formulas from Beauty Boosters is bound to do the trick. Shop the Beauty Boosters range today with lookfantastic Australia, your official stockist. We offer free Australia-wide shipping over $50, plus select Afterpay at checkout to shop now and pay later.